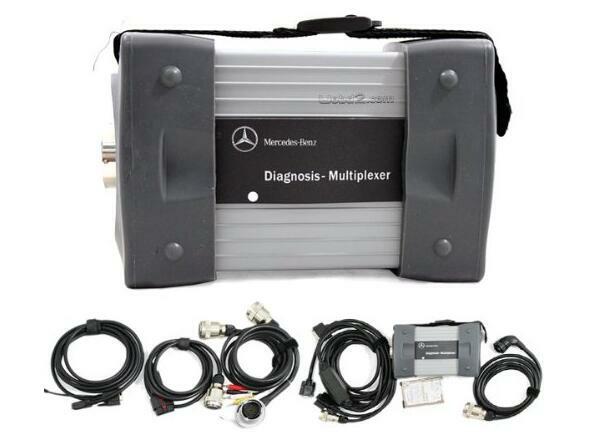 If you own a Mercedes-Benz and are looking to do your own repairs you may have heard about Mercedes Star Diagnostic (SD) scanners C3 Star and Star C4. In this article, we discuss the advantages of Mercedes Star Diagnostic scanner including things that you need to keep in mind before you buy a MB Star Diagnostic scanner. A list of top alternative scanners to Star Diagnostic is included as well. Note that this article is not written to approve or sell any of the scanners mentioned here including Star Diagnostic Scanner. We share our experience and research of diagnostic scanners and hope to help you the Mercedes-Benz owner who are looking to perform your own MB repairs and diagnostics. Let’s first explain what Star Diagnostic SD (C3 or C4 SD Connect) tool is for those who may be wondering. This is the diagnostic scanner that is used at Mercedes-Benz dealerships and some auto repair shops. It can also be purchased by independent shops. These scanners include the hardware and Xentry which is the software that is used to troubleshoot the problems in any Mercedes-Benz. Original units can be purchased at STAR Tekinfo which is the official Mercedes-Benz site that offers technical documents, special tool and diagnostic software. Mercedes-Benz Scanner MB-Star Diagnostic allows you to read and erase fault codes from any control unit in your Mercedes-Benz. With Star Diagnostic scanner you can read the actual configurations in each system, stream real time sensor data, activate sensors and perform SCN online, SCN offline coding and programing. If you search the online resellers you will find Mercedes Star Diagnsotic C3 and C4 listed for sale. You have to be careful when buying online as many of these units may not be original. This scanner is used by the dealer and it allow you to access and troubleshoot any system or control system in your Mercedes-Benz. Activate any sensor in the car, perform initiation test, stream live sensor data and also read and clear fault codes. If you own a shop who focuses on Mercedes-Benz cars then this is a must for you. Get it via official channels so that you can perform online SCN coding. All MB SD control units are accessible, like engine ECU, ABS, Airbags, SRS, Aircon, Immobilizer, Keyless Entry and the rest of 40+ control units used in MB cars. You can Read / Delete Faults, Live Data, perform sensor actuation, read current configuration, initialaztion and a lot more. Things to consider before you buy one! If you are looking to purchase a Star Diagnostic System with Xentry for Mercedes-Benz there are a few things you need to consider OBD2TOOL.